Interior Specialties made the Orlando Business Journal's Largest Specialty Contractors list for the third year in a row. OBJ ranked the companies based on their 2017 specialty contracting revenue. The list included companies from Lake, Orange, Osceola and Seminole counties. Interior Specialties moved up in the rankings and is now listed at No. 27. 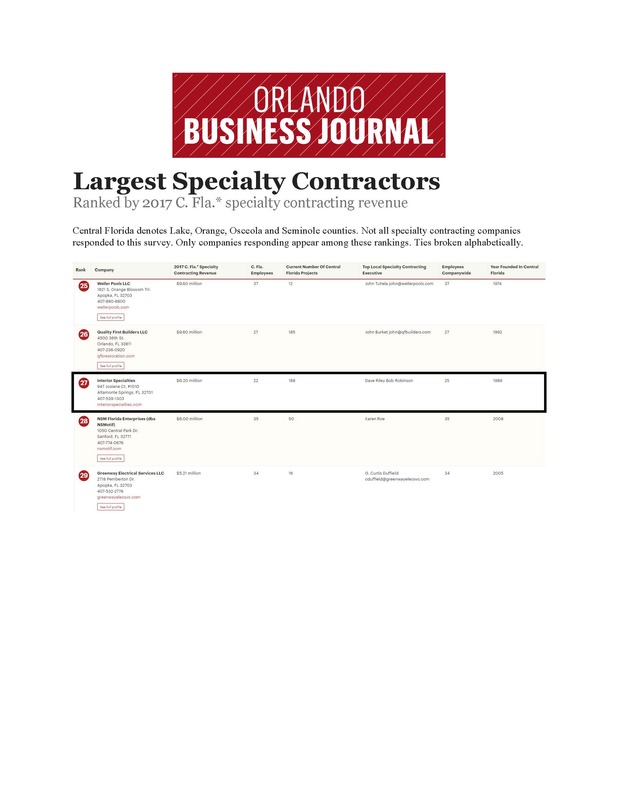 Interior Specialties makes Orlando Business Journal's 2018 Largest Specialty Contractors list.